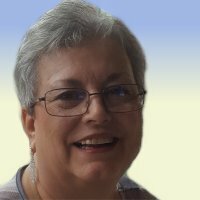 Jamie Dianne Rushing, nee Schwepker, 71, of Columbia , Illinois, born Thursday, December 18, 1947, in East St. Louis, IL, passed away Monday, February 4, 2019 at her residence. Jamie worked as a Special Education Teacher for the Special School District of St. Louis County. She was a member of Union United Methodist Church, Belleville, Illinois, a supporter of St. Louis Shakespeare Theatre and Festival (keep the Bard Free!) and the arts; she was an avid reader. Memorials: Memorials may be made to Family Hospice, St. Louis Shakespeare Theatre, or Union United Methodist Church, Belleville. Visitation: Visitation from 2:00 pm – 6:00 pm, Sunday, February 10, 2019 at Kurrus Funeral Home in Belleville, IL and from 10:00 am – 11:00 am at the Church. Funeral: Funeral Services will be held at 11:00 am, Monday, February 11, 2019 at Union United Methodist Church. (Parking / Sanctuary entrance located at rear of church, off “A’ Street.) Services will be officiated by Pastor John Annable, former Pastor at Cahokia Park United Methodist Church when Harold and Jamie were married. Interment will follow at Jefferson Barracks National Cemetery, St. Louis, Missouri.